Fat popular in the rough. Seems like someone didn’t learn her lesson about milling and wide stock. Lay with my panel gauge. Making sure it fits under the bench. 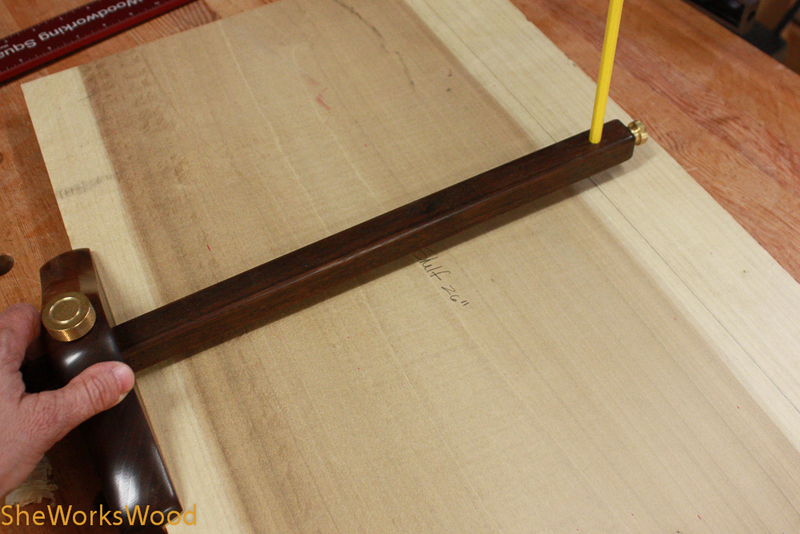 Once stock is cut to size and the top is sloped it should fit fine. 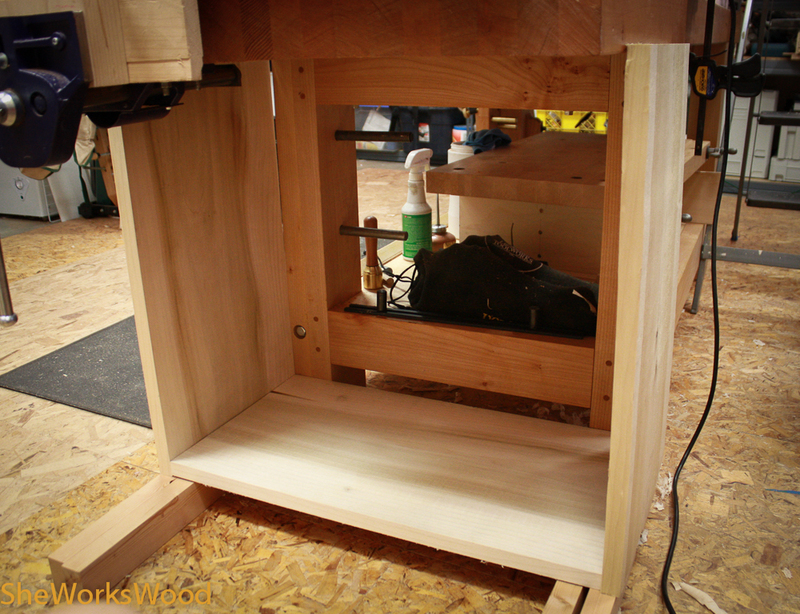 … and makin’ sure it fits under the bench where it will live. 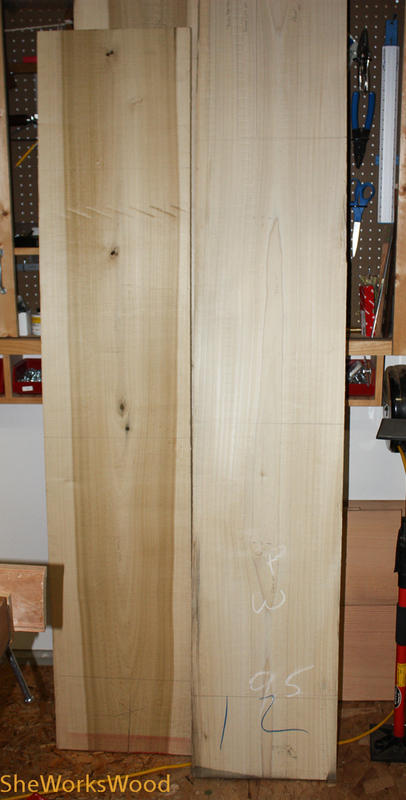 A while back I found some nice wide popular at the lumber yard, so I scooped it up for this project. It’s just under an inch thick and 15″ to 16″ wide. I’ll be making the Dutch Tool Chest from this wood which is the same chest in the October 2013 Popular Wood Working Magazine. My plan is to have it live under the end of my bench. I’m hopin’ this will be a quick project, but I have a way of turn short project into epic journeys so we’ll see. Good start! Get to the chopping! A bit of milling first and then on to chopping! Tally ho! Awww, cool! I was just thinking about building something like this after my bench is wrapped up. And the stained glass for the sconces. And the driveway gate. That’s not a bad spot. This one is on my to-do list as well but I was thinking of having it mounted like a Krenov cabinet so I can remove and take on the road. Any thoughts on something like that? That would be a great idea assuming its still low enough for you to get to the top of it and lift out the tools. It would create, I assume, a small space underneath for some other storage? That spot works for storage, but I guess you will have to roll it out to access the top? I’m considering building one of these as a next project. I like your thought of making it deeper since you are putting it on wheels. You should finish before I get started, so I’ll be glad to learn from your build. 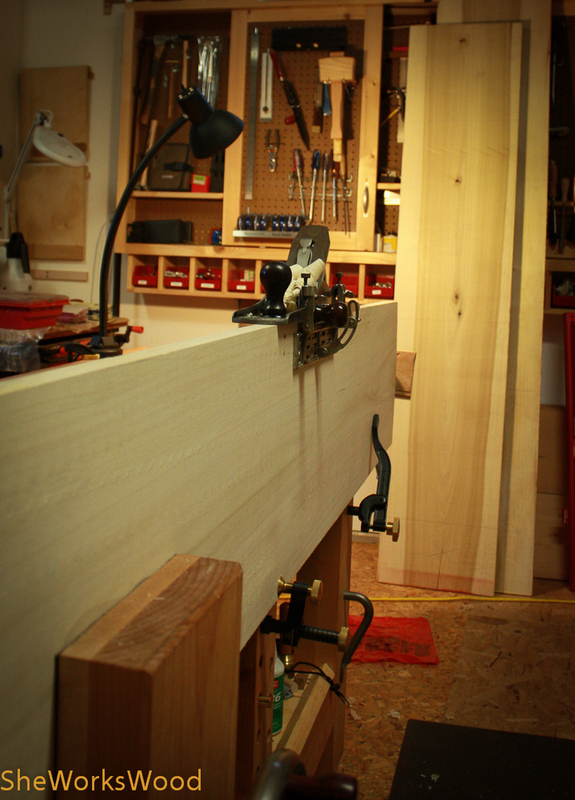 Yes, lots of things move around my shop so that they can fit (small shop space). I’ll probably roll it out in the am, open the lid and roll it back under like a drawer. 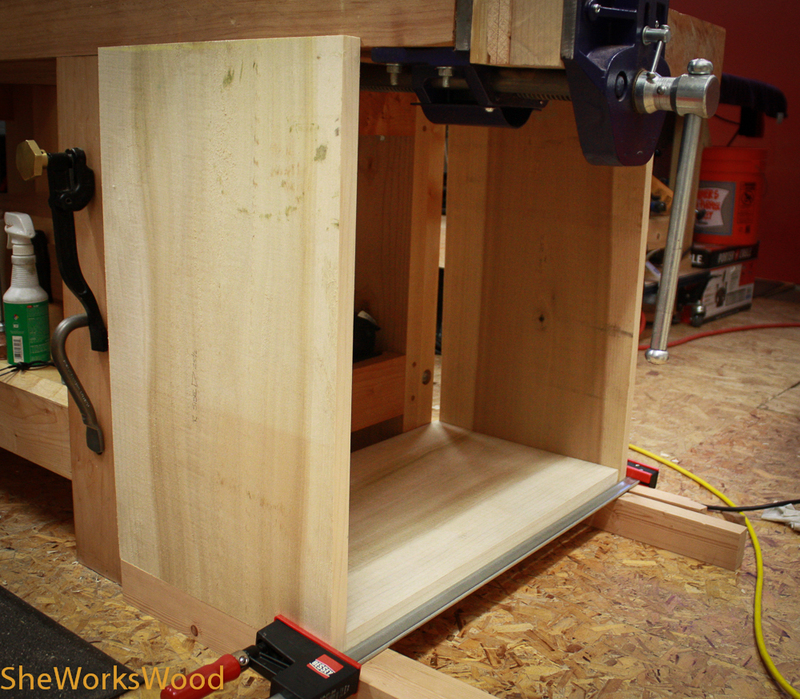 I’m about to reorient the workbench and I think it’ll make more sense once that’s done. Next Next post: Let’s go dutch! !